With the unusually cold weather that has impacted huge parts of the country, many schools and districts have canceled school. In many cases, classes have been called off for several consecutive days. The cold temperatures in particular have caused serious concerns for student safety. During these times, it is absolutely critical for school and district leaders to communicate in a clear, accurate and timely manner. The answer may vary from district to district. Maybe you have established protocol that prevents you from canceling school until 5 a.m. the morning of the school day. Perhaps the weather forecast has changed between last night and early this morning. Be honest and provide a clear answer when this question comes up. Throughout your district’s communication efforts around a school closure, keep going back to student safety. Remind your community that your district’s number one priority is the safety of children, teachers and staff. Any decision you make will be with them top of mind. Speak to the fact that you need to strike a balance between maintaining safety with minimizing disruptions to the learning process. As you continue communicating, think about sharing information on daycare options in your community, as long as you are comfortable doing so and you feel your parents and families will find it valuable. Finally, it is a good idea to acknowledge the people who may be inconvenienced when school is canceled. Thank your parents and families for their patience, and let them know you understand how a snow day can cause significant hardship. Sometimes, simply making this acknowledgement can make things significantly easier on parents. You might also thank staff who have gone above and beyond to ensure student safety during poor weather conditions. How will closures affect the school calendar? With the frenzy of communication required of you before and during a school cancellation, it can be easy to forget about keeping your stakeholders informed of how that closure will affect the school calendar moving forward. 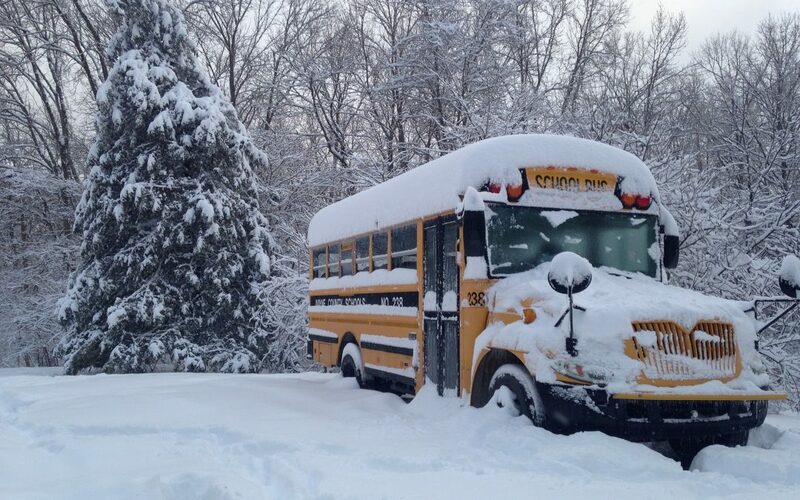 Specifically, you must be clear about how calling off school now will require make-up days in May or June. In addition to contacting stakeholders directly, be sure to send any schedule changes to your local news media so that they can publish them for their readers or viewers. We also recommend updating your online school and district calendars as soon as possible to prevent any confusion. When the weather turns bad, good communication from school leaders can drastically reduce the confusion, stress and concern felt by everyone in your school district community.